Defend the motherland a bit sooner than expected. Loose lips might sink a ship or two, but how often do they lead to the annihilation of the United States for the glory of the DPRK? 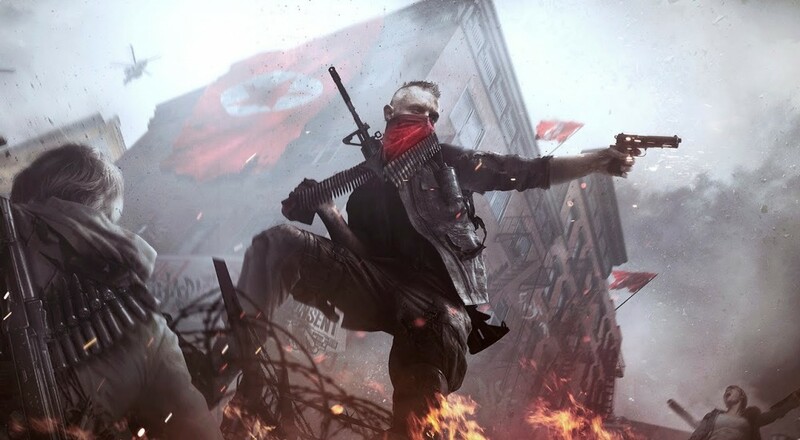 The Proud, All-American institution of Target (purveyor of fine home goods and designer toilet seats) might have leaked valuable information regarding the release of Homefront: The Revolution. Possible turncoat employees threw democracy under the bus with a single picture revealing a $5 gift card deal if you purchase the game from their store. $5? Is that what freedom is worth to you? You're all monsters. 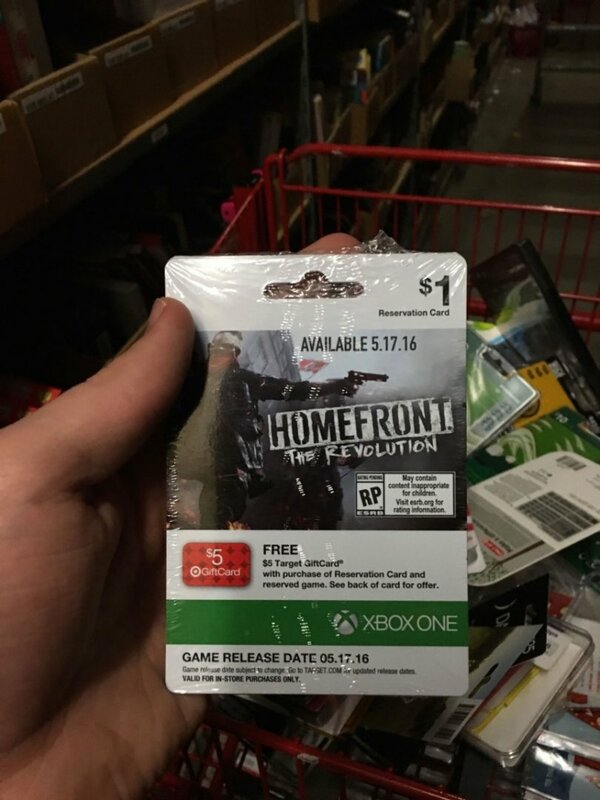 Looks like the followup to Homefront is scheduled for May 17th of this year. Deep Silver refused to comment on the possible leak, knowing the Free World is in peril due to this slippage. That seems a bit soon, given that we've heard zilch about that game since a trailer in August. While we can't confirm the date, at least you'll pick up $5 by snagging the game from Target! Deep Silver plucked the Homefront name from the smoldering ashes of THQ after they imploded, with everyone asking why they would have dirtied themselves with something like that. Critics were less than kind to the original game, but judging by our preview of The Revolution, it seems like it's well on the way to being a fun four-player co-op experience. We (might) see this thing come to fruition in May. Page created in 0.6180 seconds.